Play and Plus, both are here to stun you with various latest features and at a relatively low cost. Cheapest is not the right word which can be used to describe the cost. On the other hand economical is quite the best word used for the prices of Moto E5Play and Moto E5 Plus. Both the smartphones are available on T-mobile’s online store from today. 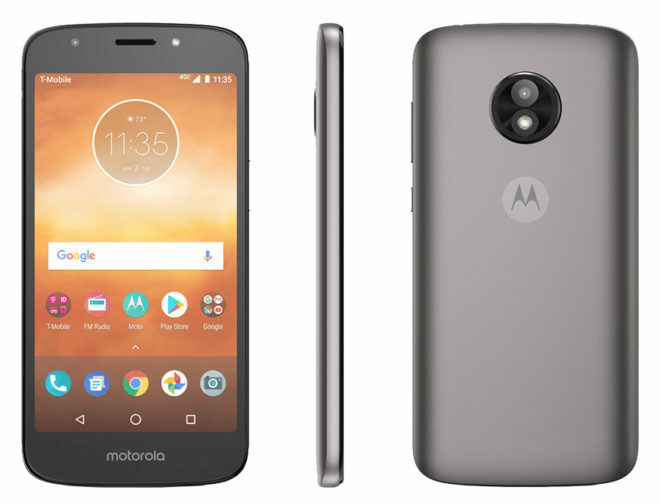 Moto E5 Plus as the tag indicates is the package with plus features and to get something extra you have to pay extra sum on money. Thus, the smartphone is available at an expensive price of $255. But, don’t worry T-mobile offers this for just $9 upfront and $9 per month for 24 months. On the other side Moto E5 Play will be yours for $150 only or you can get it on $6 down and $6 month for 24 months. both the Motos support for T-Mobile's 600MHz band (Band 71) allowing them to take advantage of the carrier's new extended range cell towers. If comes to specs, both the smartphones are different from one another. Empowered with Snapdragon 435 processor, 3GB RAM and 32GB storage and a huge 6-inch HD+ display, an equally massive 5,000 mAh battery that supports Motorola's TurboPower charger with a 12-megapixel rear camera is all you can enjoy through Moto E5 Plus. The economical Moto E5 Play has the energy of Snapdragon 427 processor, 2GB RAM and 16GB internal memory. On the back, the phone includes an 8-megapixel camera, but is has smaller 5.2” display with the power of 2800 mAH battery. Moto E5 Play and Moto E5 Plus, both are operated through Android 8.0 Oreo.